National Museum of American Art, Smithsonian, Washington D.C. 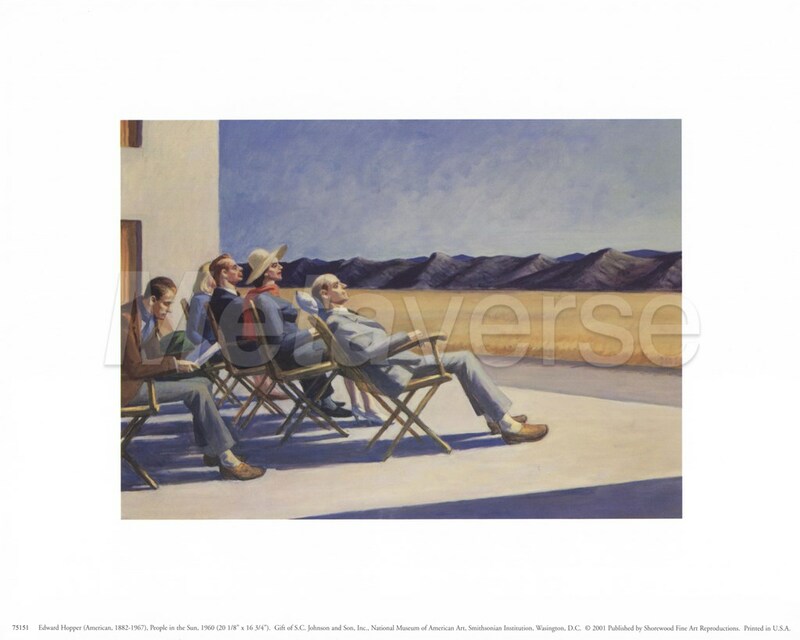 The nationally popular pastime of sunbathing must have appealed to Hopper because it allowed him to explore two elements important to his art: the play of light and the portrayal of people. In this work he presents a crowd of people basking in the sun. As is to be expected in Hopper's work, none of these individuals interact with one another. While particpating in the same activity, their leisure time is not be shared.